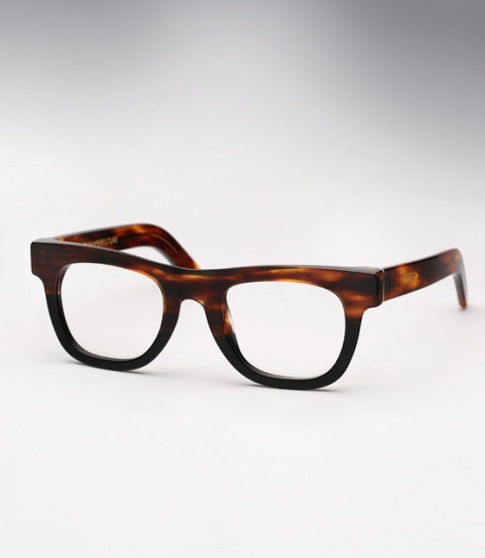 Super Ciccio Small Havana & Black (Eye) Need Help? Thick and chunky, the Ciccio is an old school wayfarer. It has a more traditional 1950's/60's throwback wayfarer style than the Super Basic shape. For those familiar with Super's standard Ciccio model, the Ciccio Small is slightly smaller, offering a more proportioned classic fit which tends to work well on most people. The Havana & black series is equal parts traditional and fresh. A carefully chosen selection of havana and tortoise acetates are paired with sleek black, making a classic and unique colorway perfect for any occasion.